v2.2_15122017 -- updated to new DS toolbar, removed 'Trade Slip 100', added NewLimit files, added new resources: Lumber, Gold, Silver, Gems, updated models and textures + AO. 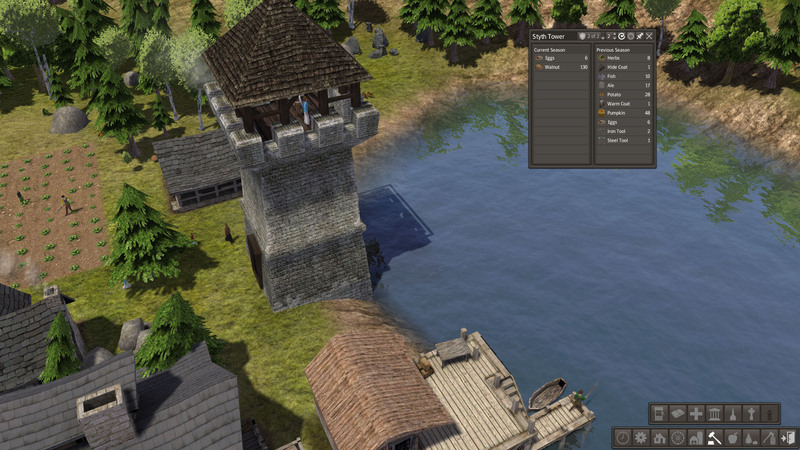 "Styth Tower , You can now build a second tower - New Styth Tower, this watchtower is slightly better at retrieving goods from bandits than the original." 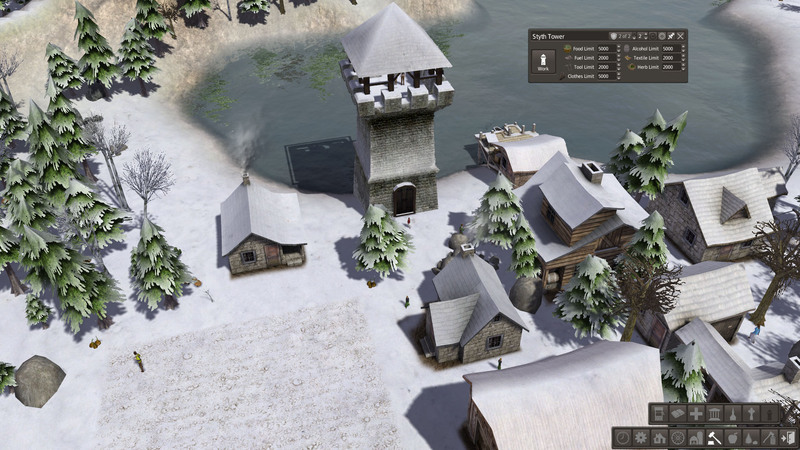 -- Styth Tower, the original Styth watchtower that generates a small random number of items for the town (Alcohol,Tools,Clothing,Food,Etc) by ridding the area of bandits, the town recieves the spoils. employs 1-2 Village Guards. You can only build 1 Styth Tower on a map. 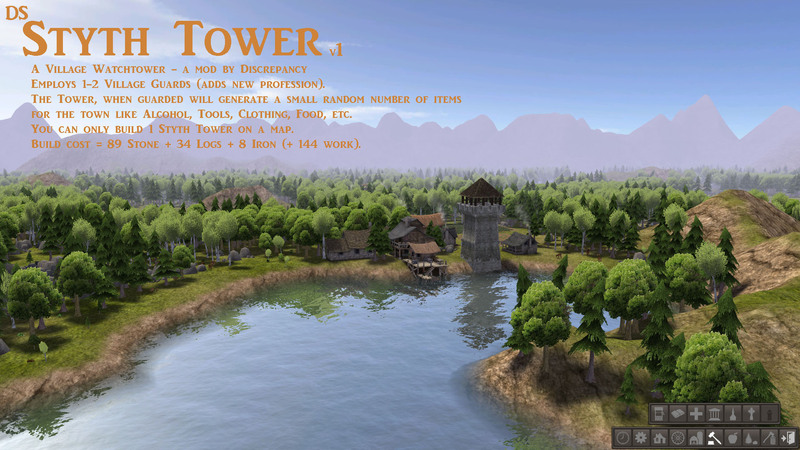 -- New Styth Tower, a new update Styth Tower, slightly larger in size, this watchtower generates a better number of random items for the town (Alcohol,Tools,Clothing,Food,Etc+bonus resource) by ridding the area of bandits, the town recieves the spoils. employs 2-3 Village Guards. You can only build 1 New Styth Tower on a map. (Alcohol,Tools,Clothing,Food,Etc) by ridding the area of bandits. Employs 1-2 Village Guards (NEW Profession added). You can only build 1 Styth Tower on a map.